Prix Staline de 1er niveau pour Mikhail Romm, Aleksei Kapler, Nikolai Okhlopkov, et Boris Chtchoukine (à titre posthume), 1943. 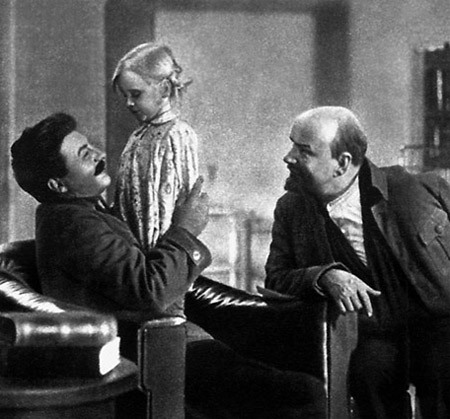 The continuation of the film «Lenin in October». The year of 1918, the Civil War, foreign intervention, lack of bread and fuel in the country. Matveyev, commandant of the Kremlin discovers a counterrevolutionary plot against Lenin, but is killed. The assaulters managed to avoid arrest and Fanny Kaplan shot at Lenin after a meeting at the Mikhelson plant. However Lenin recovers and ignoring the doctors’ prohibition returns to work.